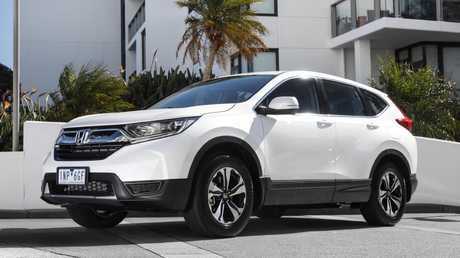 The flagship version of Honda's popular CR-V mid-sized SUV is from $47,750-$49,350 on the road. Buy before the end of the year and there's a lot of return on that investment, with a seven-year warranty backed by a seven-year roadside assist deal. The VTi-LX is equipped with leather-accented upholstery, heated front seats, digital radio, panoramic sunroof and LED lights. Servicing occurs every 12 months/10,000km and is capped at $295 for each visit. 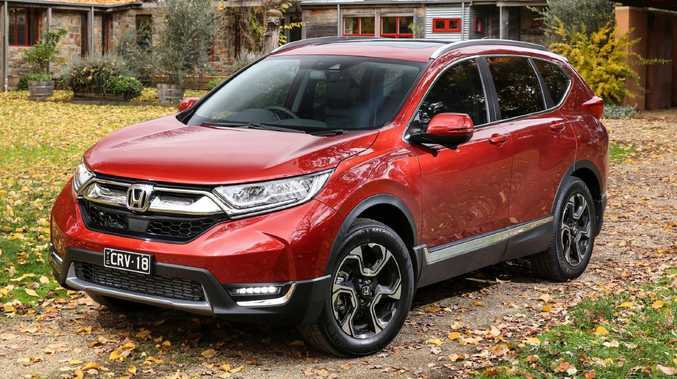 A spacious interior is a CR-V trademark and there's plenty of space in the front or back, though the third row is a kids-only affair, as is the norm with mid-size 5+2 seaters. The ergonomics are good and the overall layout doesn't give much away to its rivals, with decent storage space and soft-touch surfaces. The seven-inch infotainment screen handles smartphone mirroring but looks mundane and doesn't operate with the classiness of the rest of the car. The top-of-the-range CR-V is one of the safest in its class according to ANCAP. Autonomous emergency braking is found only on the VTi-LX, bundled with adaptive cruise control and lane-keep assist. The Honda more than holds its own in crash tests. ANCAP rates it a five-star car, awarding a score of 35.76/37 when tested last year. Six airbags are standard fare in the event of a collision. The CR-V isn’t the sportiest of SUVs. Comfort is the motivating force for the CR-V and it succeeds in being a supple drive without being too soft and spongy over speed humps. A 1.5-litre turbo cranks out respectable power and torque but the continuously variable transmission saps some performance in a bid to save fuel. The steering is accurate without offering much in the way of feedback and the VTI-LX has the reassurance of all-wheel drive for those venturing down sand or dirt tracks. The CR-V has the added versatility of being a part-time seven-seater. Similar safety gear and a responsive 2.0-litre turbo make the VW a serious rival to the CR-V. It atones for its firmer ride around town by being more accomplished as the speedo sweeps towards triple digits. A naturally aspirated 2.4-litre engine produces similar power to the Honda but uses 1.1L/100km more fuel. The boot is also marginally smaller (that is, if the CRV's third row isn't being used). The Toyota is the cheapest of the group, though the price applies only until the end of the month. You get what you pay for and despite decent gear the RAV4 doesn't drive as well as these rivals. 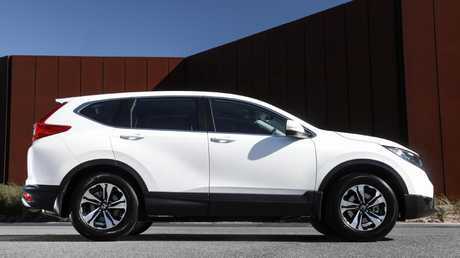 It's hard to overlook the Honda's versatility as an easy-driving and spacious SUV. If pace isn't a priority, the CR-V has all the other bases covered.